Read ___ minutes each day at school and ___ minutes each day at home. 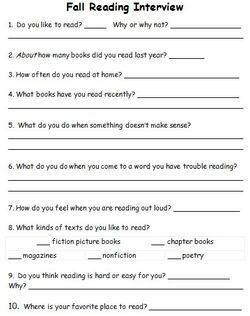 (student reading portfolio, interest/attitude survey, teacher observations, etc.). 3. Ask questions (teacher or student). 4. 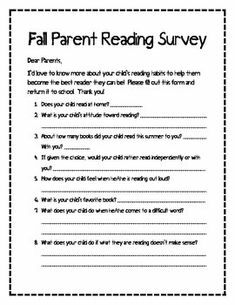 Together with the student, set an independent reading goal (e.g., application of a reading strategy such as rereading to clarify meaning). Teach a mini-lesson. Steps: explain the strategy; model... Teach Your Child to Read - A fun spin on a reading inventory from the Book Whisperer. I think the kids will love this! - Give Your Child a Head Start, and.Pave the Way for a Bright, Successful Future. 23/06/2012�� Both of these reading interest inventories would be conducted at the beginning of the school year to get started with finding books for independent reading. The first week of school is always dedicated to getting to know the students and for them to understand what is expected from them during the school year. This interest inventory as well as classroom discussion the first week on �... When you're reading a book and you see a word you don't know, what do you do? Would you rather read a book alone or have someone read a book to you? Do you think you're a good reader? Student Interest Inventory Student Interest Survey Student Survey Reading Interest Inventory Reading Interest Survey Reading Survey Parent Survey School Classroom Classroom Activities Master's Degree School Supplies Learning English Education:__cat__ effective reading and writing for comm 170 pdf When you're reading a book and you see a word you don't know, what do you do? Would you rather read a book alone or have someone read a book to you? Do you think you're a good reader? When you're reading a book and you see a word you don't know, what do you do? Would you rather read a book alone or have someone read a book to you? Do you think you're a good reader? 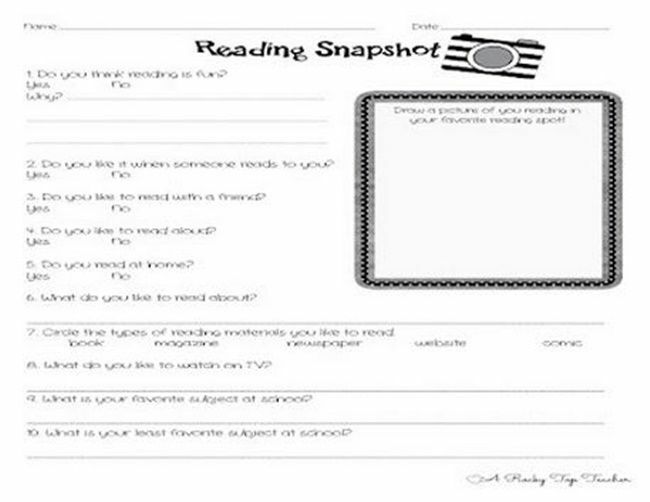 Use this Reading Interest Inventory to get to know your readers at the beginning of the year! Students fill out the inventory (on their own or with help), and then you can use this informal assessment during early reading conferences to discuss their interests and preferences.